State Senator Roy Herron has an M.Div. and a J.D. from Vanderbilt University and has served as an attorney and a Methodist minister. He has also served in the Tennessee State Legislature (where, coincidentally, he currently represents my parents) for 26 years. 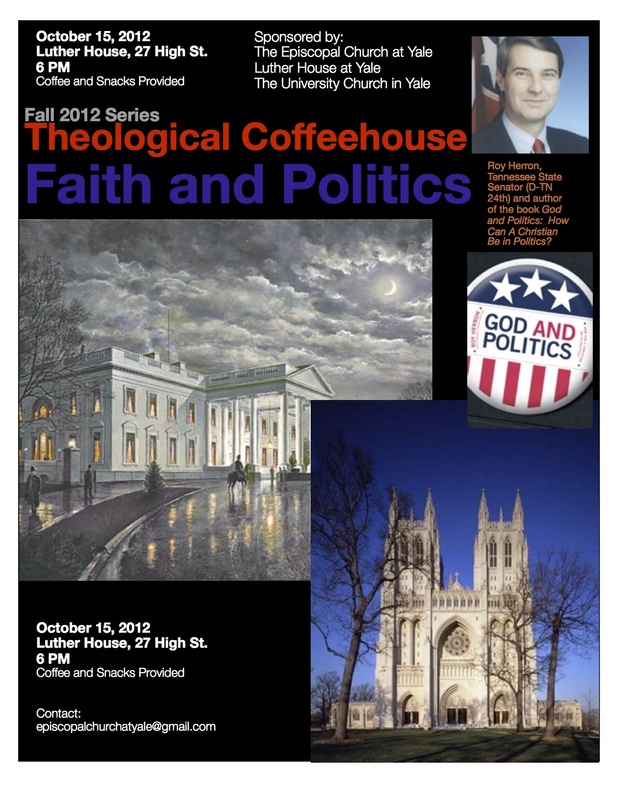 Here is a link to his book God and Politics: How Can a Christian Be in Politics? If you are going to be in the New Haven area on October 15 and are interested in joining us, here is a link to the Facebook event with more information!